On May 27, 1942, the SS Reich Protector of Bohemia and Moravia Reinhard Heydrich was attacked and shot by Free Czech agents. He managed to survive for several more days, but the wound did prove to be fatal. The assassination enraged Hitler to a hysterical state. Subsequently, the Gestapo and the SS tracked down and killed over 1000 people that may have had something to do with Heydrich's death. 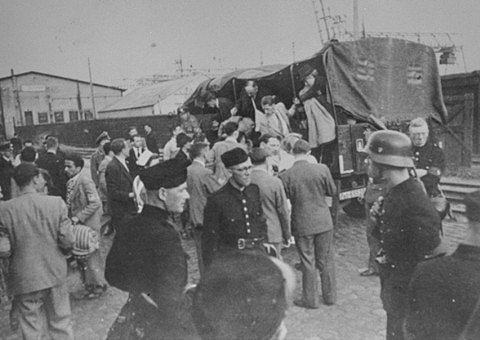 3000 Jews were deported from the ghetto at Theresienstadt for extermination. 500 more were arrested in Berlin and 152 were killed for the reprisal of Heydrich's murder. 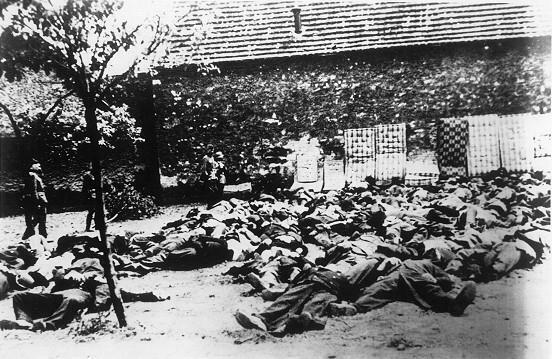 But one of the most terrible effects was the liquidation of the village of Lidice, which Hitler falsely accused of aiding with the assassination. Nazi troops first bombed the town building by building and then completely leveled it, planting grain on the empty land. As the years progressed, Hitler's power became stronger and stronger. With it, life for those he resented became increasingly miserable. In 1942, a series of concentration and death camps were opened, including Belzec and Sobibor. Jews from all over Europe, not just from Poland and Germany, were gathered up at terribly rapid rates. This included French, Dutch, Belgian, Croatian, Slovakian and Romanian Jews. 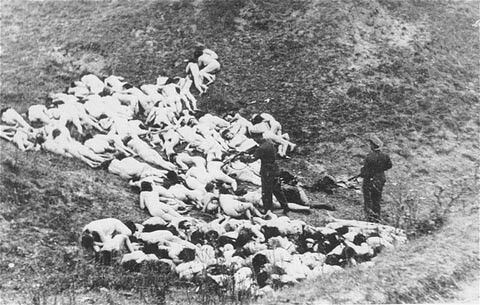 Nazi officials from each of these countries were deporting people in enormous quantities to concentration camps or death camps, where most eventually died or were killed in mass executions such as the one pictured at the right.